In the 90-second video below, Joe Lurie, author of Perception and Deception: A Mind Opening Journey Across Cultures, tells the story of a Fulbright Scholar who spoke five languages, yet refused to sit next to Japanese colleagues during meals. Differences in customs and etiquette can damage relationships; Perception and Deception provides stories from nearly 100 cultures. Be sure to order your copy today. Once you’ve read it, remember that it is the underlying values we hold and the assumptions we make that are the differences that make a difference to productivity and satisfaction. Cultural Detective helps you learn on that deeper level, building understanding as well as strategies and skills for harnessing differences as assets. Get your subscription today! All over the world, people have lost and are losing proprietorship of their ancestral traditions. As Michael explains, “Spam colonized Oceania, Korean traditions were usurped during the Japanese occupation, there was the pseudo-history of the Columbian Exchange, Native Americans probably exchanged recipes with immigrants as they shivered under small pox blankets and dodged musket balls.” Too many people have no claim over their own heritage, no access to a field of heirloom vegetables that their ancestors brought to a country or a continent. Maybe you have heard about Michael Twitty. I had not until I read a post by colleague Missy Gluckmann from Melibee Global this morning. Learning from Michael has occupied my entire morning, and I can’t tell you how thrilled and how moved I am by his work and who he is! Bless you, Missy and Michael! Readers of this blog know that we often write about food (1, 2, 3, 4, 5); it is central to the soul of a culture. We also frequently write about cultural appropriation (1, 2, 3), from fashion to symbols to traditions, how to avoid it, and how to extend power and privilege, credit and honor where they belong—to origins and originators—while also continuing to be generative. Heck, bridging and blending cultures is what Cultural Detective is all about! Building on others’ work while honoring it respectfully and justly is a difficult line to maintain, however, one that requires ongoing dialogue, learning, and adjustment. Living as a gringa in Mexico, I learn more about that “thin line” on a daily basis. How does he define some of his terms? Culinary Injustice: “When the descendants of historically oppressed people have no sovereignty over their culinary traditions, and essentially go from a state of sustainable production and ownership to a state of dependency, mal- or under-nutrition and food injustice. It results in feelings of shame for being under history’s boot heel, and puts distance between our past, ourselves and our future. Culinary injustice places originators in a tertiary and passive rather than a primary and active role in the transformation of culinary traditions, and results in fortunes being made for others”—those who oppress, appropriate, or innovate unjustly. Remember when I told you that modern science is proving that memory is biological, that it crosses generations? Michael Twitty, with his one-man mission to reclaim African-American culinary heritage, recently found out through DNA testing that he his paternal ancestors were the Akan of modern-day Ghana. 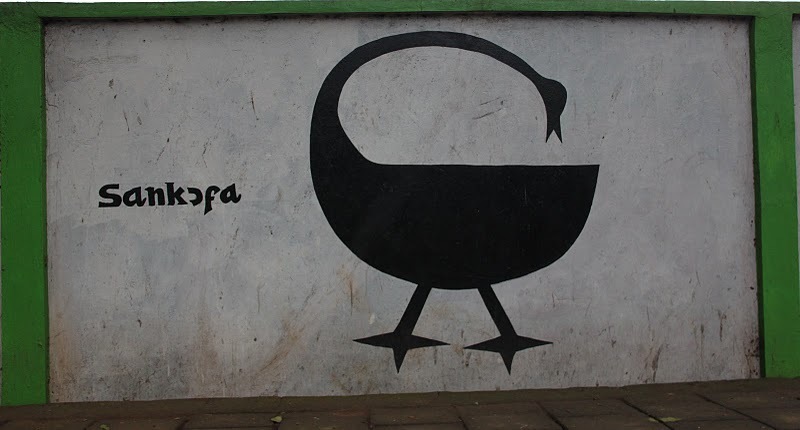 The Akan language, called Twi, has a word and an Adinkra symbol called sankofa. Sankofa means that we must go back and reclaim our past in order to move forward! You tell me Michael isn’t doing what his ancestors, and his genes, tell him needs to be done! Inside each of us, indeed, is a piece of the puzzle, an answer to the challenges facing our world! What are some of the key points I learned, or reframed, from Michael Twitty this morning? Most of the below is verbatim from Michael via his videos on the internet. African slaves were not unskilled labor. They were brought to the Americas for their skills, to help build nations. They knew how to grow rice and cotton from West Africa, and brought it to the USA. We brought over 20 different African crops and animals to the Americas on slave ships. They brought their ability to cook. 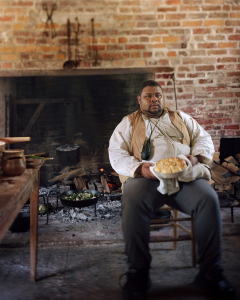 Post-slavery, they were the first generation of caterers in America, culinary aristocracy, cooking for the White House, embassies, highest society. Yet our children don’t know that! “Yam yam” is a Wolof word, the word enslaved women used when caring for white children in the big house, encouraging them to eat her food. Look in the dictionary under “yummy”: “origin unknown”? Black people! As new generations were born in the USA, kids’ palates changed. They don’t like guts, which of course contained the spirit, the soul, the essence of the animal that was sacrificed to feed us. We began to lose the mystical, the mythological, the metaphysical, and the magical… Those chitlins (small intestine): they contain the soul, that’s why it’s called soul food! Enslaved cooks from Central West Africa used spirituals to time their cooking; there were no clocks. To roast the meat, bake the bread… they’d reference the number of times they could sing the song before the food would be done. Rice in South Carolina made 10 out of the first 12 millionaires, all of whom were involved in the Declaration of Independence and the Constitution. It took only two seasons to make the rice planters of Charleston millionaires. Charleston Gold Rice sells for $14/bag today, yet not one black person owns a rice field in Charleston. That’s food injustice. It’s important to respect and revive the culinary knowledge of the oppressed. It takes guts to insist that the chef act as a keeper of tradition, an advocate of memory, of ecological integrity, of ethnographic and historical respect, with contemporary awareness and a sense of urgency to acknowledge debt. Culinary reconciliation will lead to healing and a better life. I’m sure you’d love to see Michael in action. Below is a video of an 18-minute presentation he gave to MAD, a Danish non-profit. If you have heard Michael speak or, better yet, eaten some of his food, please let me know about your experience. Bless you, Michael Twitty! Thank you for helping make our world more respectful, equitable and just! Mastering the Art of Soviet Cooking, by Anya von Bremzen, is not a cookbook, but a literary madeleine, evoking through food memories her childhood in Soviet Russia. It’s not about her favorite foods or emblematic Russian dishes. It’s about how a taste connects us with a moment in time and space. Vobla, dried and salted Caspian roach fish, “brings out that particular Russian masochism: we love it because it’s such a torment to eat…I’d happily trade all Hemingway’s snails and Proust’s cakes for a strip of [this] petrified fish flesh.” A half-piece of black-market Juicy Fruit gum takes her back to the girls’ bathroom in elementary school, where she would auction it off to the other girls, having obtained it through some elite family connections. 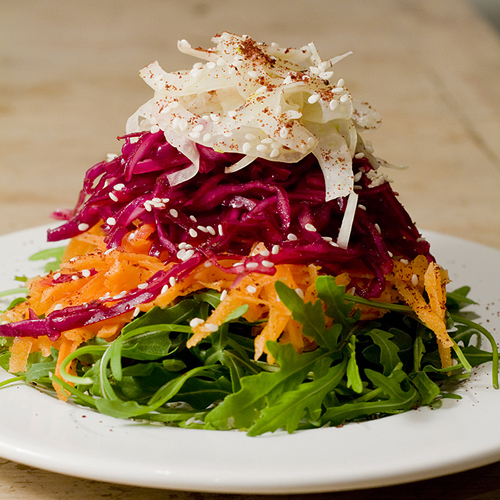 She describes salat Olivier as a “metaphor for a Soviet émigré’s memory… loosely cemented with mayo.” In her mother’s American kitchen in the 90’s, making the salat, she notes how “a taste of Lebanese pickle that uncannily resembles a Russian gherkin leads to a snippet from a Rodina song, which in turn rouses a political morality tale, or reawakens a recollection of a long-ago dream, of a fleeting pang of yearning.” Starting from these tastes and smells, the author skillfully depicts the cultural intimacies of a point in time and place which no longer exists, yet is very real and alive in her memory. 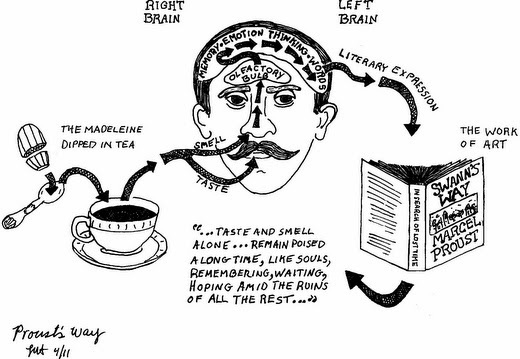 What tastes and smells evoke your cultural insights? What clues do they provide to other ways of life, and why?? Post your answers in the comments, and let’s compare! Anna Mindess started it, Joe Lurie and I continued it, and now Anna comes back with more. What, you might ask? Food idioms! By now you know that Anna, co-author of Cultural Detective Deaf Culture, writes a food blog called “Bay Area Bites.” Inspired by the aforementioned articles, her latest is called “Food Speaks in Many Tongues.” Specifically she shares with us a few French, English, German, Spanish, Danish, Turkish, Japanese, Russian, Cantonese, Farsi, Arabic, Hebrew, Yiddish, Italian, and American Sign Language food idioms. Illustrations are by Anna’s daughter, Lila Volkas. Another terrific guest blog post by Joe Lurie. Thanks, Joe! After “Bicycling in the Yogurt: The French Food Fixation” appeared (and then Dianne’s Ukiuki Pichipichi article on Japanese food onomatopoeia), a colleague gave me the book, Food in Chinese Culture, published by The Ministry of Culture of the People’s Republic of China. Yanzi, another famous Chinese philosopher, noted that “harmonious government, like cooking a fish, requires a proper blend of policy, just as cooking a fish requires the proper blend of vinegar, soy sauce, salt and plum.” If ministers were blindly to follow their ruler’s behavior, it would be like boiling a fish in plain water; who would want to eat it? Hearing this, a Chinese friend reminded me that fish frequently are associated with prosperity in Chinese culture, though “climbing up a tree in search of fish,” is to do the impossible. In business, “being handed a rice bowl” is to be hired, while “having your rice bowl broken,” is to be fired. A Shanghai-born MBA student explained that if you protest being fired, the boss’ response might be: “the rice is cooked,” meaning it’s too late to do anything about it (my decision is final). Perhaps you should have just performed your duties as “talk does not cook rice.” Still, a Chinese employee might counter with, “I won’t bow for five measures of rice,” suggesting he refuses to do anything demeaning for money. Bottom line: “the squid had been fried,” or he was fired. 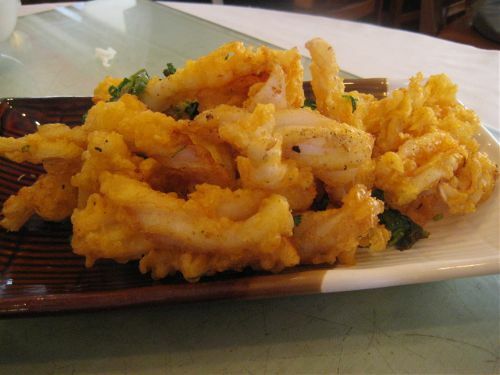 Because the fried squid is shriveled, there is a serious loss of face. Some of my other Chinese-speaking students remind me that in business and other activities, one should remember that “if you pick up a sesame seed, you may drop a watermelon,” or lose sight of important issues because you focus on trivial matters. And certainly one should avoid “stale grain and uncooked sesame” — boring unimportant gossip. According to Gong Wenxiang, author of Food in Chinese Culture, the Chinese word shi means “to eat” as well as “to earn a living.” So perhaps it’s not surprising that “to eat land” means to get income by renting out farm land, while “to eat salary” means to work for wages, and “to eat strength” means to survive via physical labor. A Mandarin-speaking foodie friend described other “eating” expressions that reflect consuming, digesting, or absorbing. “Stuffing a duck,” to prepare a fine meal, also can refer to studying hard or cramming to ensure excellent test results. Winning the lottery is to “eat delicious,” prompting jealous lottery losers to “eat vinegar.” And beating mahjong or chess opponents is often expressed as “eating their pieces,” the loser expected “to eat bitter” – to be able to withstand difficulty. Perhaps this is why the plum blossom is a national Chinese symbol. Flowering in winter, it overcomes cold, just as the Chinese people survive and thrive despite hardship. The Chinese student said, “No thanks, I’ve already eaten.” The US American was confused, until someone explained that “Have you eaten?” is a common Chinese greeting which means “How are you?” or “Are you OK?” And, of course, if you haven’t eaten, you’re probably hungry and not ok. So, an invitation to Chinese-speaking interculturalists, linguists, and anthropologists: please bring on the next course! For those of you who just love our Cultural Detective Deaf Culture co-author Anna Mindess‘ food blog, here’s another delightful post…. I’m freaking out. The layered pandan rice cake–for which I so carefully poured 6 alternating colored layers–is totally stuck to the pan. No worries. Thy Tran, instructor of this Steamed Asian Sweets class at the Oakland Asian Cultural Center, calmly comes to my rescue, directing me to put the cake in the frig for a quick cool-down, after which it effortlessly peels out of the pan. After months of hearing about the wonderful range of Asian Cooking classes at OACC, I finally make it here for a four-hour class in their Oakland Chinatown kitchen. Sadly, it turns out this is the last class in a series entitled Cooking with the Senses, Fundamentals of Asian Food. I have been quite ujiuji (melancholy) in recent weeks, feeling uzu-uzu (a burning desire) to hear and speak Japanese. Living in a small city in Mexico, zenzen (almost never) can(‘t) I hear Japanese, and my heart gets shoboshobo (sad). Joe’s recent blog post on the French food fixation only fueled more tsukuzuku (heartfelt thinking) on my part. As you may have already figured out from my wazawaza (purposeful) language, I’ve been thinking about Japanese sound symbolism, particularly in the context of food. Whether you eat gatsugatsu (gobble or devour) or potsupotsu (little by little), if you want to talk about food in Japanese you will be using words that mimetically represent feelings and senses. As the originators of the concept of umami (pleasant savory taste — one of the five basic tastes), Japanese tend to mokumoku (munch) the way they listen: with all their senses. Taste, texture, and temperature, sound, smell and sensation… all are important elements that combine to keep people ukiuki (cheerful), pichipichi (young and vigorous) and pinpin (in good health). 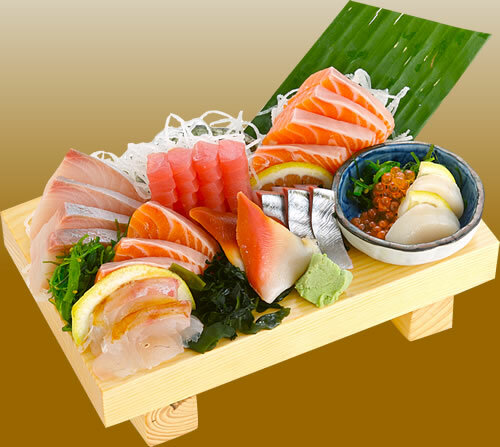 While many people think of Japanese food as the tastes and textures of sashimi or sushi, a typical meal may also contain iroriro–na (a variety of) food including boiled, broiled, fried or pickled dishes, a soup and hokahoka (warm) steamed white rice. Is your stomach starting to guuguu (growl hungrily)? For the fresh or raw component of your meal, would you like something shakishaki — crisp as in veggies or fruits, e.g., lettuce washed in cold water? Or would you prefer something more korikori — crunchy and crisp, as in fresh raw abalone? Be sure to rinse the abalone well, so it doesn’t taste jarijari (gritty) or zarazara (coarse). 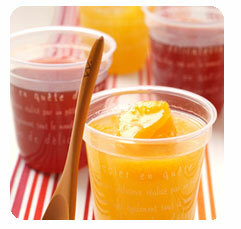 Maybe you want something sharishari — tangy and juicy, like an Asian nashi pear or sherbet? Or is your tongue like mine, and craves the piripiri (sting) of wasabi or fugu (blowfish)? Any of these dishes will require chokichoki (cutting with a knife) preparation. A boiled dish in our meal might include pumpkin nimono, stewed hokuhoku (steamy and dense but not soggy), or something more furufuru (soft and jiggly) like boiled eggs. 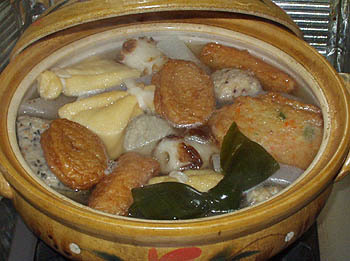 Maybe we should make some chikuwa (fish paste roll) for oden till it’s buyobuyo (swollen and soft) and fuwafuwa (fluffy)? Oh that sounds good! There are just so many possibilities! So many tastes and textures! There are madamada (still) ippai-ippai (lots) more onomatopoeia to consider. What about a main dish? Shall we eat something sakusaku (freshly cooked crisp and light) like tempura shrimp? I could fry it till the shrimp inside are puripuri (plump with a nice resistance) and the breading is poripori (quietly crunchy). 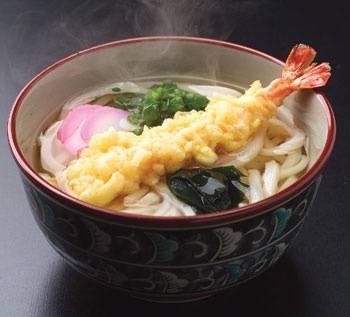 Perhaps you are really craving the shikoshiko (chewy, elastic firmness) of some udon noodles? Never over-boil the pasta so it becomes betobeto (sticky and gummy); rather, you’ll probably be wakuwaku (trembling with excitement) to eat your tsurutsuru (shiny and slurpy) noodles and gabugabu (drink heartily) a beer! 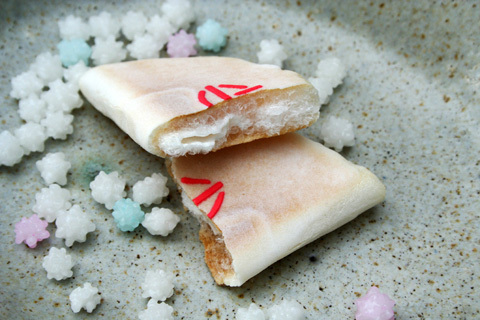 Instead of your normal bowl of rice you might enjoy something a bit more mochimochi (soft, sticky and chewy) or netoneto (glutinous and gummy) like sticky rice. Maybe rice that’s a bit more pasapasa (dry), like jasmine rice, sounds appetizing? The kunkun (smell) is so nice! Tabitabi (once in a while), though, I like the parapara (moist but loose) of fried rice. Even though by now you are panpan (full), pukupuku (swollen), and maybe even kokkurikokkuri (nodding off), a karikari (hard and crispy) biscotti, a fukafuka (soft and fluffy) cream puff, or even some purupuru (wiggly, jiggly) kanten (gelatin) for dessert might refresh your soul. Maybe just a handful of something punyupunyu, like some gummis? After such a big meal your throat may feel karakara (thirsty). I’d definitely recommend a chibichibi (sip) of a kachikachi (ice cold) shuwashuwa (sparkling) beverage over a betabeta (sticky) dessert wine. It can help settle any mukamuka (queasiness) you might have. What if you’re not really that hungry, and you just want to mushamusha (munch)? You might want the paripari (thin and crispy) of nori (toasted seaweed) or chips. Sometimes, though, we crave a louder pachipachi (crispy snapping sound), like the baribari (loud crunchiness) of sembei (rice crackers) or the kachikachi (crisp firmness) of arare (another kind of rice cracker). For those of you interested in this subject, I found a really cool study conducted by a cross-disciplinary group of students (information science, engineering, medicine) from the University of Tokyo. They “harvested” online food reviews in Japanese to find the most common food-related onomatopoeia. How cool is that — a terrific application of science to language and culture studies! 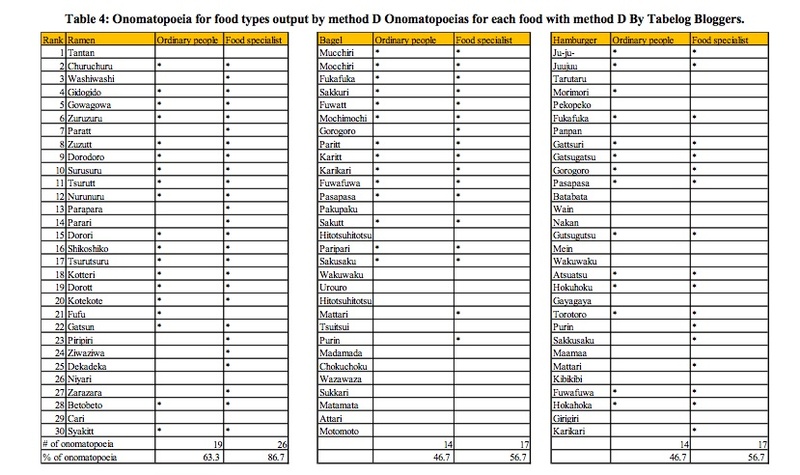 Below is one of the tables from their report, detailing the most commonly occurring onomatopoeia for food. Giongo (擬音語): These are the words that mimic the sounds of life around us, such as the sound of sprinkling vs. heavy rain, a door creaking or glasses clinking. Most of the food onomatapoeia above are giongo. Giseigo (擬声語): Sounds made by people or animals, such as a cat’s meow or a dog’s woof. Gitaigo (擬態語): Words that describe actions, such as smiling or grumbling, or psychological states, such as cheerful or irritated. Sometimes these latter are also called gijogo. Technically these are not onomatopoeia, since they don’t mimic sounds; they are mimetic words that mimic actions or emotions. However, since we don’t use these types of words often in English, and they are very important to speaking and understanding Japanese, I include them here. I also found several online dictionaries of Japanese onomatopoeia. The first is Giongo Dictionary, where you can sign up for a daily email to keep learning. A second, if you read Japanese, is Onomatopedia. The third is a cool little resource with sounds you can listen to. Finally, though it only works sporadically, is Nihongo Resources, where you can search in English or Japanese. I hope you’ll enjoy them. Japanese speakers: Please share some more of your favorite 擬音語 (giongo) and insights with us! There are of course regional (and personal!) variations of many of these! Speakers of other languages: We’ll be happy to publish it if you send us your post about unique features in your language. Thanks! Eating with One’s Hands: Cause to Lose One’s Children? Members of the Cultural Detective community are united in a common purpose: to spread respect, understanding and justice through collaboration in our world. I am so, so lucky to be able to work, each and every day, with such passionate and diversely talented people. Yesterday was a wonderful day. We held the second in a successful series of two FOLEs (Facilitated Online Learning Events) with a globally dispersed group of movers and shakers; launched a MUCH-anticipated new package (CD Bridging Cultures); got out a blog post and a newsletter; and finished the admin area on our upcoming Cultural Detective Online subscription service. But, I was tired, and feeling rather overwhelmed by all the technology I (have to) work with. I was wondering, as many of us do sometimes, if my efforts were really having a positive impact on the world. Just then I opened a note from one of my colleagues, a sign language interpreter who is a “foodie.” She reminded me that, yes, every little bit we put out there positively (including via technology) has constructive ripple effects in our world. Bless you and your beautiful work, Anna! Keep reading to see her note and a terrific effect of a recent social networking link. 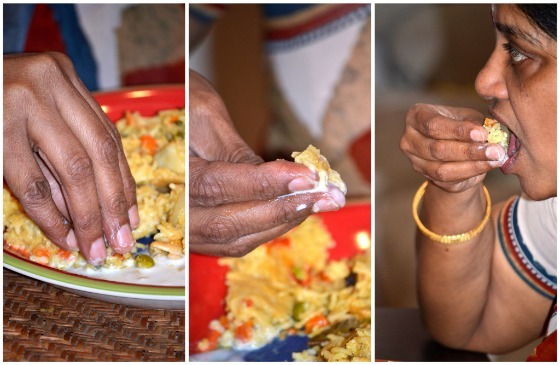 My fascination with food and culture spurred me to write a post about different cultures who eat with their hands (including Indian, Ethiopian and Moroccan). And with the help of a friend, we shot a video of this lovely Moroccan gentleman I know giving me a lesson in eating with the hands. I am hoping to make a series of such videos on cross-cultural food ways. Hopefully it can help build cross-cultural understanding and respect. Thank you so much for all your wonderful work! Below is the first video in her series, for those who don’t want to keep clicking. We’ve added it to our Cultural Detective YouTube channel as well.